Last week, Rogers Cable and Telecom, Canada's largest cable provider, admitted that its network monitors may "inadvertently" throttle traffic of customers playing online games. 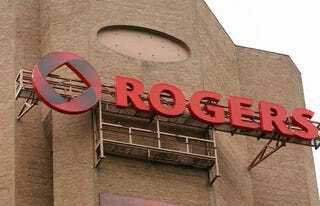 "Inadvertently" or otherwise, Canada's telecommunications regulator has told Rogers to knock it off. The Canadian Radio-television Telecommunications Commission cited Rogers' own policy, which claims that online games like World of Warcraft should not be throttled, in telling the company it has until Sept. 27 to present a plan that keeps WoW traffic, and that of other games, unthrottled. The CRTC also reminded Rogers that it has instituted a policy that forbids Internet providers from throttling online traffic during peak hours without prior approval of the commission. In a statement Friday, Rogers said it had already corrected the problem with Warcraft traffic and wasn't aware of problems with other games. The directive against Rogers came after the Canadian Gamers Organization filed a complaint against Rogers last month, accusing the cable giant of deliberately throttling game traffic. Rogers said game traffic might have been "misclassified" by its network monitoring, especially if gamers were running other peer-to-peer communications alongside their gaming. The CGO scoffed at that explanation. CGO head Jason Koblovsky told the Calgary Herald he suspects the problem goes beyond Rogers, and he will ask the CRTC to widen its probe. You can contact Owen Good, the author of this post, at owen@kotaku.com. You can also find him on Twitter, Facebook, and lurking around our #tips page.